Want to work for a company with a solid foundation and a forward thinking vision? •Want a career opportunity with achievable advancement? Under administrative direction, uses extensive knowledge and skills obtained through education and experience to oversee one or more sub-departments within Operations. Leads large projects, programs or processes with significant business impact involving cross-functional teams. Influences strategic direction and develops tactical plans and completes complex assignments with substantial latitude for un-reviewed actions or decisions. Extensive contact with Senior Management is required, to provide comprehensive solutions to complex problems or needs. Plans, assigns, monitors, reviews, evaluates and leads the work of subordinate managers and supervisors. Performs human resource management activities, including coaching and mentoring subordinates within a performance management culture. Coaches and mentors subordinates, identifies training needs, and creates development plans. Interprets, applies and recommends changes to organizational policies and procedures. Collaborates with private client group management to identify and implement solutions. Monitors regulatory compliance with internal and external groups including auditors, FINRA, IRS, SEC and others. Establishes objectives with a sense of urgency and develops processes and procedures to ensure efficient and timely work flow. Works with product managers and information technology groups to create system requirements that will facilitate processes; moves projects through to implementation. Performs periodic reporting on work progress, project completions and additional ad-hoc reporting as required. Maintains regular contact with senior manager and other internal customers to identify, research, and resolve issues. Ensures effective coordination occurs between assigned functional area(s) and other areas. Identifies trends and implements corrective action as necessary. Uses financial data and performance indicators to establish control mechanisms and other improvement initiatives. Develop and administer policies, procedures, and budget for the department. Ensure policies and procedures are interpreted and carried out properly. May manage multiple departmental budgets. Project management methodology sufficient to act in a sponsorship role. Complete understanding of DTCC, Fed clearance, and OCC. Interpreting and applying policies and procedures. Implementing processes and procedures for efficient and timely work flow. Promoting effective coordination between work groups. Plan, assign, monitor, review, evaluate and supervise the work of others. Maintain currency in assigned area of responsibility. Incorporate needs, wants and goals from different business unit perspectives into operational processes. Read, interpret, analyze and apply information from job-related publications. Incite enthusiasm and influence, motivate and persuade others to achieve desired outcomes. Bachelor's Degree (B.A.) in finance, business administration or related field and eight (8) years experience in financial services, including five (5) years in a management position. Ability to obtain Series 7 License or other FINRA Licenses (as required). You will be the voice of Nordstrom, fielding real-time calls, e-mails and live chat from customers across the country. The ideal customer care specialist is caring and compassionate, enthusiastic, solutions-oriented and committed to providing outstanding Nordstrom customer service every day. Shifts: Full-time positions available, times will vary upon business need. Schedule flexibility is required and expected. The Software Engineer must have excellent technical skills which allow them to adequately interpret what is needed, ask for clarity when needed, implement the changes, and provide evidence of testing. The candidate will provide architectural and technical guidance for Amazon AWS environments, tools, and solutions. Develop/maintain architectural blueprint schematic, feature specifications, and detailed technical design schematics. Develop and deploy features that will connect core/legacy data with new services both internal and external interfaces. o AWS and cloud deployment of applications using Lambdas and other Amazon tools. o Expert knowledge of API's (REST & Graph QL) demonstrable experience in developing using managed code and services development. o Drive for clarity with ambiguous or unknown requirements. o Demonstrable understanding of Virtual Assistants (Google Home, Amazon Echo, etc.) ecosystems including build, test, deployment. To view all of our open positions, please visit: http://www.alleareconsulting.com/job-openings. Performs all duties associated with managed and/or syndicated negotiated and selling group underwritings for the municipal bond department. Updates information for managed and/or syndicated negotiated and selling group underwritings into various systems. Works with FI associates to maintain relationships with internal and external clients. Maintains records of rates and pricing changes and advises sales force of changes. Provides information to Bankers to develop reports to respond to Requests for Proposal (RFPs). Keeps syndicate members informed about pricing, allotments and regulatory reports for managed underwritings. Prepares daily risk exposure report for management. Trading strategies and market characteristics within assigned securities type or sector. Concepts, practices, and procedures of Fixed Income. Principles of banking and finance and securities industry operations. Strong math and analytics sufficient for quantitative and analytical analysis. Strong marketing skills and sales ability. Identifying relationships, draw logical conclusions, and interpret results. Using technical/professional knowledge, interpersonal and sales skills to obtain customers' commitment to ideas, services, or products. Operating standard office equipment and using required software application to produce correspondence, reports, electronic communication, and spreadsheets including Microsoft Access databases. Organize, manage, and track multiple detailed tasks and assignments with critical deadlines in a fast-paced work environment. Use appropriate interpersonal styles and communicate effectively, both verbally and in writing with all organizational levels. Convey information clearly and effectively through both formal and informal documents. Bachelor's Degree (B.A.) and a minimum of (3) three years of experience in the Fixed Income area of the financial services industry. YOU DON'T HAVE TO WAIT 2 YEARS! We're not offering you just another truck driving job. 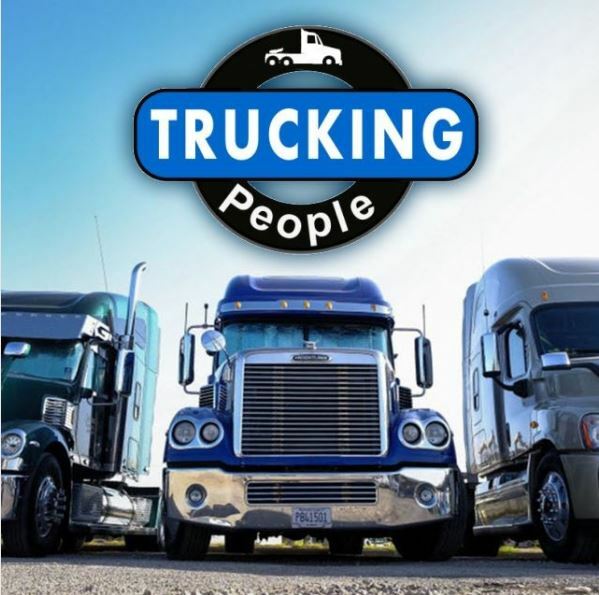 "Orientation was nice they feed you good they're honest about everything they don't lie"
"I have never been so content with any trucking company!" "They work with u with taking off for important stuff like ur kids dr etc"
If this all sounds good to you, we want to hear from you! 3 months of verifiable Class A OTR Experience! Under general supervision, uses specialized knowledge and skills obtained through experience and/or training to provide telephone support to branch professionals. Collaborate with the management team to identify opportunities for enhancements to the applications and assist with implementation of those enhancements. Recommend solutions to moderately complex problems. Extensive contact with internal customers and external contacts is required to identify, research and resolve issues. Provide telephone support to financial advisors, sales assistants, branch managers and other branch professionals as it relates to submitting annuity business via the firm's electronic order entry system. Act as a liaison between compliance personnel and financial advisors, sales assistants, branch managers and other branch professionals regarding outstanding compliance issues with pending annuity business. Identify issues that prevent business from being submitted electronically or lead to a less than ideal user experience, perform root cause analysis of those issues, report issues to the appropriate party and follow through until resolution. Keep abreast of annuity product changes, rate changes, system changes and process changes (both internally and externally) and how those affect the submission of annuity business. Advise management on suggestions that would improve the financial advisor's user experience and streamline the submission of annuity business. Perform operational testing of system enhancements and new software applications for accuracy and usability. Maintain a general knowledge of all areas within the business unit and how they impact the flow of annuity business. Monitor and work team electronic mailbox. May assist with training new associates. Prepare written recaps, reports and spreadsheets for special projects and submits to management for review. Basic insurance concepts, practices and procedures used in the securities industry, principles of securities industry operations and/or financial markets and products, as required by assigned functional area. Problem resolution and effective communication, both verbally and written. Supporting the testing of new systems, applications, and system enhancements. Identifying and resolving systemic and operational issues. Performing operational testing on new systems or system enhancements for accuracy and usability factors. Evaluating processes and systems and identifying potential user experience improvements. Handle a high volume of phone calls. Diffuse a potentially heated situation in a calm manner. Establish and maintain effective working relationships, both internally and externally. Demonstrate strong analytical skills and use critical thinking when solving problems. Read, comprehend and apply technical information. Organize and prioritize multiple tasks with changing priorities to meet critical deadlines in a fast paced environment. High School diploma or equivalent with a minimum of two (2) years' experience. Associate's degree (A.A.) or equivalent from a two-year college or technical school and one (1) year related experience. Any equivalent combination of education, training and/or experience.